HUGE DEALS On The 2019 Sorento In NC! If you have a growing family or you’re simply in need of more space, consider the 2019 Kia Sorento. This seven-passenger SUV is an excellent choice for those seeking a ride that gives plenty of space, offers a wide array of features, and much more. 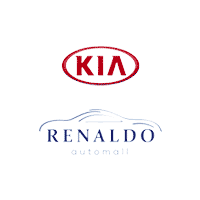 At Renaldo Kia, we happily offer an extensive inventory filled with countless vehicles. Whether you’re searching for an SUV, truck, car, or van, we’ve got you covered. We understand that drivers have unique wants and needs when it comes to selecting a new automobile. That’s why we always try to provide a large, diverse stock. Take a look at our selection online today. In order to help you learn more about the 2019 Kia Sorento, we’ve taken a closer look below. Keep reading for more information. A spacious cabin is always desired in an automobile – especially when it comes to an SUV. After all, who wants to take a long road trip or even a trip across town in a cramped, uncomfortable environment? Luckily, the 2019 Sorento gives occupants plenty of space as well as comfort features. Some of the features you and your passengers will enjoy include driver seat memory settings, heated and ventilated front seats, a heated steering wheel, leather upholstery, a panoramic sunroof, dual-zone automatic climate control, LED interior lighting, and power-adjustable seats. As you can see, the 2019 Sorento offers plenty in the comfort section. When it comes to engine options for the Sorento, drivers have a few options. First of all, the L and LX trim levels come with a 2.4-liter four-cylinder engine that produces 185 hp and 178 lb-ft of torque. It is paired with a six-speed automatic transmission. The next engine is offered with the EX, SE, and SX Limited trim levels. This 3.3-liter V6 engine delivers 290 hp and 252 lb-ft of torque. It comes with an eight-speed automatic transmission. This engine is also optional for the LX trim. All trim levels can be equipped with all-wheel drive except for the base L.
At Renaldo Kia, we offer an incredible inventory for you to choose from. We pride ourselves on our outstanding customer service and always strive for 100% customer satisfaction. To do this, we offer a wide array of vehicles and many different specials. That’s right – when you choose us, you can save big! The catch? Our deals are only for a limited time only. The prices you see on our site today could change tomorrow, so take advantage of all the ways to save today! Don’t let a great deal slip through your fingers! Come see us soon! You’ll find our dealership conveniently located at 4425 E Dixon Blvd, Shelby, NC 28152, which means residents of Gastonia, Bessemer City, and Cherryville are just a short drive away. During your visit, our friendly and knowledgeable team members will be more than happy to show you around, fill you in on our specials, and let you take a test drive or two. Get behind the wheel of the 2019 Kia Sorento today! We look forward to seeing you soon.